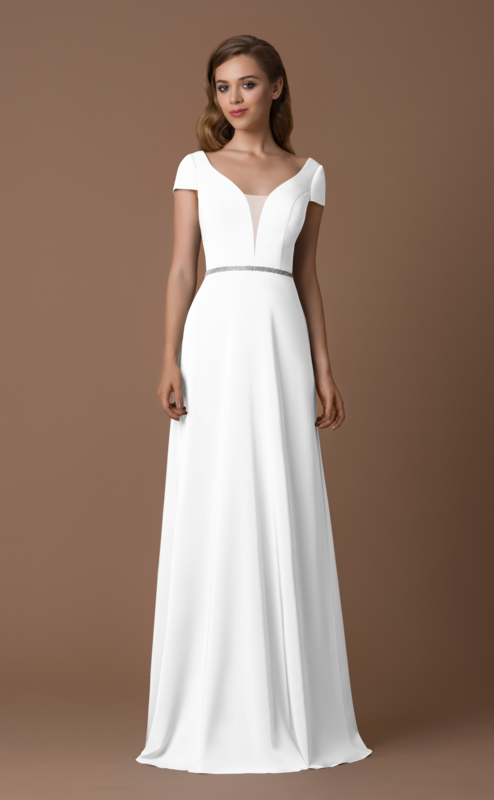 A gorgeous floor-length crepe gown with a sweetheart neckline and open back that will make you look magnificent. A belt-like detail of this dress is designed to emphasize the elegance of your waistline. The dress comes in three colours for your convenience!